Just came out of the vault feeling weak? Want to upgrade your low-level gear? Need more bottlecaps in your pocket? Trying to find a unique weapon? Well, my friend, I have written the guide just for you! 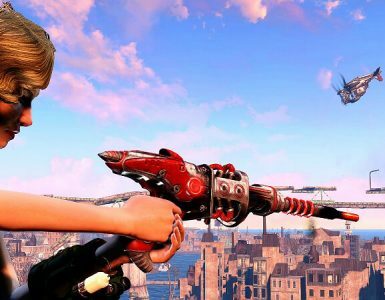 Welcome to the Treasure Hunter’s Guide to Fallout 3! Hello, and welcome to Treasure Hunter’s Guide to Fallout 3. 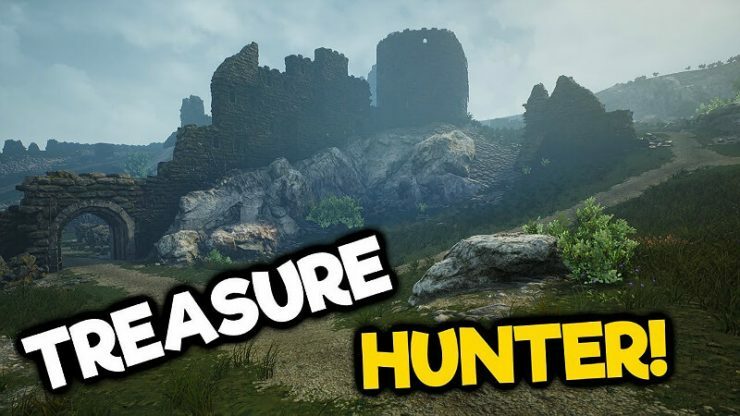 Treasure Hunter’s Guide is my series of informative guides based on locating treasure in video games written to easily push players in the right direction, regardless of playtime. 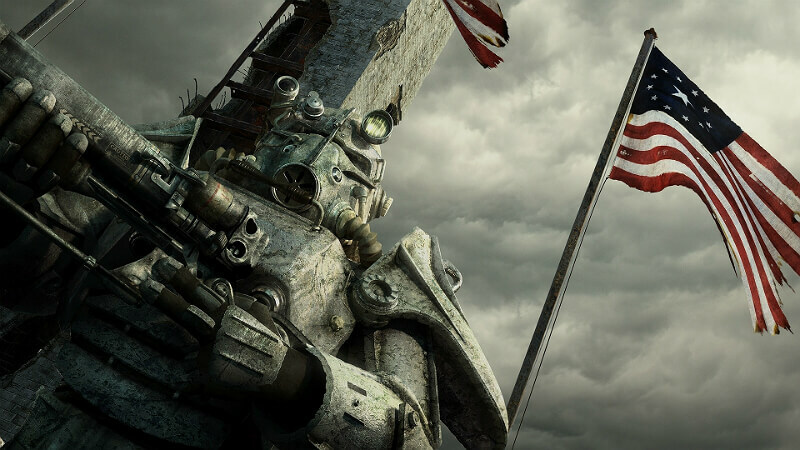 Fallout 3 is the 2nd game I have wrote about so far. I update these guides with the suggestions and constructive criticism I receive! 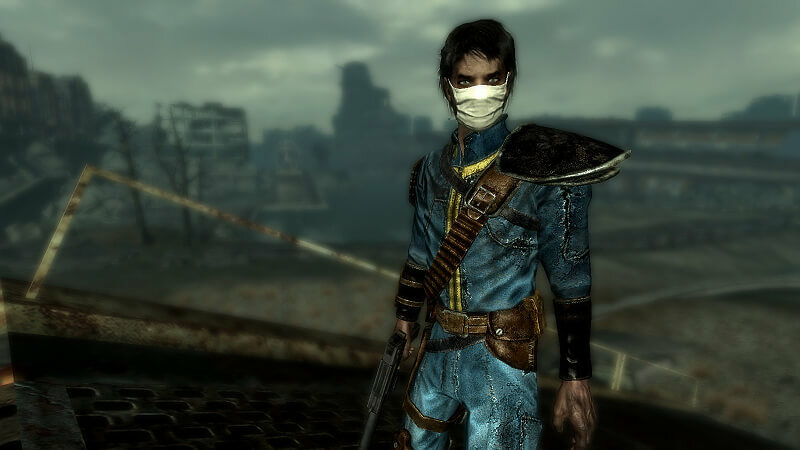 Fallout 3 is an expansive open-world RPG with a lot of content and secrets. It can be difficult for new players to make a good build or find caps. It can also be difficult to find the unique version of that one weapon you like. It may even be a pain to locate all of the bobbleheads. I have wrote this guide to remedy some of these problems for you! This is the first part of the guide. In this section, I will discuss how to create a decent character and how to get yourself a quick start. A “decent character” is a very opinion-oriented concept, however, in the next section of this guide, you will read about the character build that has always worked perfectly for me. The section after that will teach you how to get valuable gear quickly. 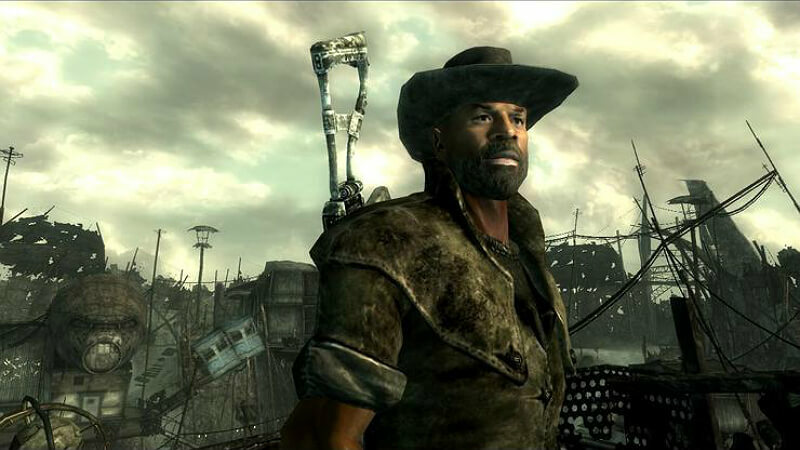 The Fallout franchise has had a large amount of diversity when it comes to creating your character. There are many different possible outcomes for creating your character and some are considerably better than others. The best character build for me has been the following. Strength: 6 – Strength is aimed towards melee builds (which this one isn’t) but the carrying capacity bonus is incredibly useful. Perception: 5 – Perception is mildly useful as it governs energy weapons and lockpicking. The only advantage to the extended compass range is that it makes it easier to get the drop on an enemy. Charisma: 3 – Charisma does little but increase your chances at success when using speech checks. But charisma can easily be raised by using any form of alcoholic beverage, making major investments in it a waste of valuable points. Intelligence: 7 – Receiving additional skill points throughout the game is an incredible benefit. Some useful perks require a high intelligence. Agility: 5 – Only useful for the action point boost and bonus to the small guns skill. 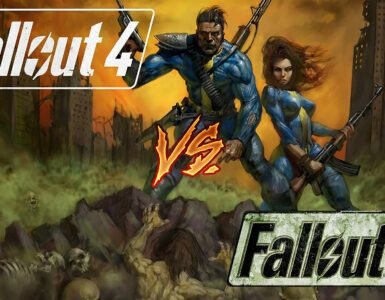 How many points you have in this should depend on how often you use VATs. Since VATs is great for accuracy and critical boosts, leaving it at 5 would be wise. Luck: 7 – The boost to all skills and increase to critical chance are great. This also affects your chance at some rare random encounters. Small guns: Small guns are common throughout the entire game. They can be cheap and tend to be very easy to repair. Some of the most damaging non-explosive weapons in the game are small guns. Medicine: The most inventory and time efficient way to heal yourself on the go. This skill is mostly useful for radaway and rad-x as water and nuka-cola can easily be used for healing. Some useful perks require a high medicine skill. Repair: Repairing weapons increases their damage and reduces jamming. Since small guns are common, the repair skill synergizes very well. Speech: A decent investment early-game. There are a lot of speech checks throughout the game and most can be difficult with the suggested low charisma. There are several uses for speech straight out of the vault. Most of the speech checks in Megaton are high level and would usually take a lot of quick loads. Odds are, you’ll be very poor when you exit Vault 101. It can take a while to get gear fit for dungeon exploring. So this section exists to help! While in Vault 101, loot all of the security guards and take their gear. Their gear doesn’t sell for much, but it’ll certainly help you get some tools you will need. After you encounter the dead Jonas, head to rooms on the left and you’ll find various loot such as bobby pins. While in the overseer’s office, loot the lockers to the right of the terminal. Inside you will find a large amount of 10mm ammo and some chems. Make sure you take the mentats, as they are required later. When you open the vault door you need to head into the room the security guards come from and go into the room to the right. Inside you will find some water and bobby pins. After you finally leave the vault, sell most of the gear from the security guards to Moria and the merchants you can find outside. On rare occasion, a glitch with Moria will occur where you can receive two armored jumpsuits. Since the jumpsuit has a value of about 100 you can sell the spare for a decent sum of caps. Travel to the area behind megaton and look for a “hollowed out rock”. It’s difficult to find so your best bet is to have dogmeat look for it. In the rock is a sniper rifle, some ammo, and various other useful loot. Now, head to Moriarty at the saloon. When he asks you to pay, choose an option that suggests you need the caps to do so. He will tell you to get caps from Silver. When you talk to silver, pass the speech check and kill her before she exits the room. This way, you will get about 400 caps. If your perception >= 5 then you can use the mentats to easily complete the quest “The Power of Atom”. Whether you complete the quest the evil way or good way you will need to do this. Doing this will earn you a player home and 100/500/1000 caps depending on speech checks and side chosen. Now, you have the player home and plenty of caps to get started! This is the quest that you get in Megaton. Moriarty asks for 100 caps to give you the next objective, but you can look at his terminal to continue for free (at the cost of some karma). The GNR Plaza you will head to later in the mission contains the powerful Fatman which can easily turn the tide of a difficult battle. If you do the quest 3dog gives you as usual, but talk to Doctor Li in Rivet city before you turn it in, you will be given a key to a cache in Hamilton’s Hideaway (a place near Arefu). Bottlecaps are the form of currency in this game. It is best used to purchase ammunition or repairs. Early-game, it can be difficult to make the money you need. However, using various tricks you can go from rags to riches very quickly. Larger amount of caps tend to be earned from completing quests the evil way. But there are other ways to earn large amount of quick caps. Head to the Statesman Hotel in eastern DC. Find the note “A note from Little Moonbeam’s Father”. It’s near the top of the mid-level and can be found next to a bed. Choose the dialogue option, “So, whatever happened to your father?”. Give her the note and she’ll give you the SMG. “So, whatever happened to your father?”. Hand her the note after this option. Rinse and repeat #6 as many times as you must as Sydney can disappear from the game. This trick takes advantage of the fact that most NPCs respawn with similar loot. You can acquire an infinite amount of the big guns and science skill books. They are best used for raising your skills, but you can sell them for 50 caps each. 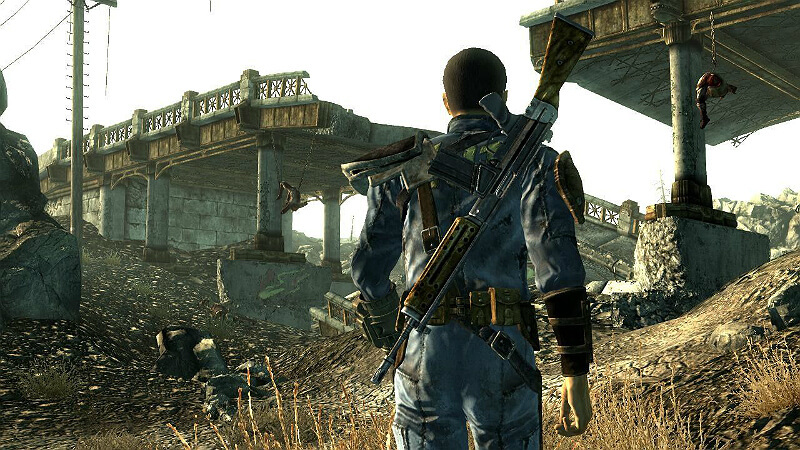 Head to Shalebridge – located south of Raven rock, north of Vault 87 and southwest of Paradise Falls. Take the book off of him, then leave the tunnels and wait for 72 hours. Repeat. Go through the Bethesda offices east building. Kill the raider boss and loot the skill book. Leave the area and wait for 72 hours. Repeat. Wadsworth and Godfrey in the Megaton and Tenpenny houses respectively can give the player 5 bottles of water every 3 days. These waters are purified and as a result they can be sold for 20 caps or given to a water beggar for good karma. Lawbringer: While more of a feature than a trick, this is still notable. The lawbringer perk adds fingers to the bodies of all characters who have karma < -250 (basically, all evil characters drop fingers). You can head to any respawning bandit camp and clear it for 10+ fingers on average. You gain a karma bonus for turning in the fingers and so you can easily raise your karma without donating to the churches or giving beggars your precious water. A mini-boss is added to the world when you take the perk. You can find this mini-boss in the Arlington Cemetery. Killing him yields a special finger worth 1k caps. Contract Killer: The evil counterpart to Lawbringer. With this perk you can kill a good character to yield an ear that goes for 15 caps and negative karma. You can pickpocket the ears off of essential characters when you knock them unconscious. Littlehorn himself has good karma (for some reason) and as a result, you can pickpocket his ears off of him and sell them to him. Sugarbombs can easily be sold for a decent sum of caps. To do this, head to the Northwest Seneca Station a short way northeast of Arefu. You can find a ghoul named Murphy. If you talk to him, you can sell him sugarbombs for 15/30 caps (depending on if you succeeded at the speech check). There are only so many sugarbombs to find in the world, but vendors can sell sugarbombs and they go for roughly 5 caps so you will always earn profit. 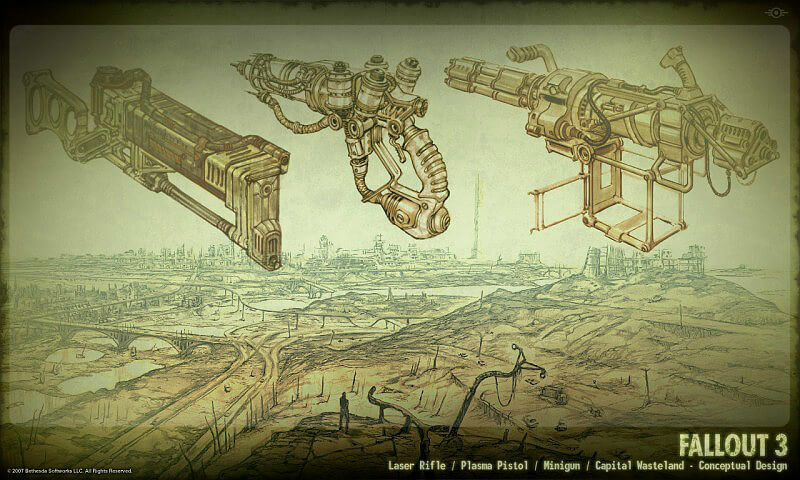 There is a relatively large arsenal in Fallout 3. There are 38 unique weapons in the base game and 27 more with all DLC. Most of these items can be hard to spot because there is no cosmetic difference to the original (with 2 exceptions). The first section of unique weapons: Pistols! One of the three unique .44 magnums. 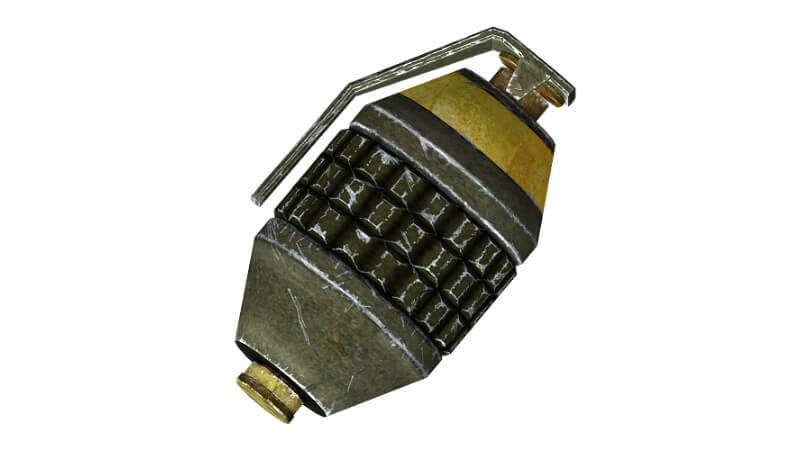 This one has the lowest damage of the three, but it is the most powerful non-explosive weapon in the base game. You can obtain it if you bring Agatha a music book after completion of her quest, “Agatha’s Song” and ask for a reward. To start to the quest, talk to Agatha in her house located southwest of Minefield and northeast of Big Town. One of these books can be found during the quest while exploring Vault 92. It is in the bathroom in the male section of the living quarters. The most powerful of all 3 unique .44 magnums and most powerful small gun in the game. You can find it in a safe in the citadel ruins if you choose to destroy it during the quest “Who Dares Wins”. The safe is in a cubicle against a wall and has a hard lock. This weapon does more damage than the original 10mm pistol and has slightly higher durability. You can only obtain this item through a glitch during the quest “The Waters of Life”, when Colonel Autumn supposedly dies in the purifier. You need to walk up to the purifier’s door and put your cursor on his body and circle the third-person camera around until it gives you the option to search him. The problem with this item is that by the time you obtain it, it will be going up against power armor and even the hunting rifle does more damage. This weapon changes depending on whether you have broken steel loaded or not. If you are not using broken steel, it is a fully automatic laser pistol. If you do have broken steel, it is only slightly stronger than the basic laser pistol. You can find it on Colonel Autumn’s body if you decide to kill him during the quest “Take it Back!”. A slow, but powerful energy weapon that shoots DR-Ignoring projectiles. You can find it in a small armory room at the end of the quest “A Meeting Of The Minds”. This is the most powerful energy pistol in the game. It does roughly triple the amount of damage of the non-unique version and has a much higher critical chance. However, it weighs twice as much and uses two energy cells per shot. You can find it in the cargo hold area. To open it, you need to find a terminal and unlock the safe with it. The safe is found near a room full of debris. The 2nd most powerful of the unique .44 magnums. This weapon is very unique in that it behaves more like a shotgun than a pistol. When fired, it shoots a spray of pellets. Paulson wields this weapon and it can only be obtained by either killing him or shooting it out of his hand. This unique laser pistol shoots a bunch of lasers at once similarly to a shotgun. You can get this weapon by killing the Antagonizer and taking her items to the Mechanist during the quest, “The Superhuman Gambit”. This unique laser pistol is the 2nd most powerful of the three. It has better stats in every way compared to the original. You can find it in a safe in Lyon’s room in the B Ring of the citadel. To open the safe, you require either 100 science or 100 lockpicking. You can also use dogmeat to retrieve it. A much more powerful version of the 10mm SMG that deals more damage and has a bigger clip. You can find this weapon on Sydney during the quest “Stealing Independence”. To get it without her dying, you need to find a holotape in the statesman hotel named “A note from little moonbeam’s father”. It is located on a desk on the third floor of the middle level. This unique .32 pistol has a drastically higher fire rate and is much more durable. It fires as fast as you click the fire button and has the highest condition of any pistol in the game. You can find on the body of Wild Bill in the steelyard near Wernher’s Hideout. A unique Chinese pistol that shoots incendiary rounds. It is also unique in that it has the longest range of all fire weapons in the game. This item is not affected by the pyromaniac perk! Located in L.O.B Enterprises in the Falls Church region of western DC. You can access it through the Marigold station located in Grayditch. You can find this weapon in a briefcase behind a very hard lock door on the second floor of the building. Next, we’ll be going over rifles! This version of the plasma rifle has higher damage, a higher crit chance and is more durable. This is the best energy rifle in the base game. You can earn it from the quest, “The Replicated Man”. If you reveal to Harkness that they are an android and ask them if you can kill Dr. Zimmer. The backwater rifle is a unique 10mm lever-action rifle. It has an extremely high critical chance and is almost as powerful as Lincoln’s repeater. You can only obtain it during the quest, “The Velvet Curtain”. It is on a shelf in the bunker south of Calvert mansion. The gauss rifle is an extremely accurate, high damage weapon. Scoring a critical hit will knock your opponent down. The main downsides are that the reload time is long and there is only a single round per clip. You find this item in the armory upon completion of the operation anchorage expansion. The infiltrator is an assault rifle with a bonus scope and silencer. However, it has the lowest damage of the entire selection of assault rifles. You can find it in the arena on the last opponent you fight during the quest “Unsafe Working Conditions”. This unique .44 rifle is a great late-game weapon. It has zero spread, a large clip, high damage and is easy to repair. It is most notable for being one of the only unique weapons to have its own texture. You can find this weapon on the 2nd floor of the museum of history offices. The museum of history is also the location of the underworld. The map marker is very close to the Washington monument. You can find it in a display case in a room to the left of a staircase found in an open room filled with bookshelves. This unique laser rifle acts similarly to a shotgun. Despite being a laser weapon, it lacks their accuracy benefits. You can only get it from bringing 50 steel ingots to Everett. A unique hunting rifle with overall higher stats than its non-unique counterpart. Like Lincoln’s repeater or the alien blaster, it has zero spread. However, it has a lower amount of condition. You can find it in the Republic of Dave, inside a safe in Dave’s office. You can pickpocket Dave’s key, use a speech check only available during the quest “You Gotta Shoot Them in The Head” or simply kill him and take the key. Another variant of the Infiltrator. It does much more damage but fires slower and is far less durable. You get this item for bringing 90 steel ingots to Everett. A powerful version of the .308 sniper rifle. It is far more durable and has a lower AP cost at the cost of the clip size being reduced by 2 points. You can find it on a drifter in a chapel southeast of Deathclaw Sanctuary and southwest of Fort Constantine. While only semi-unique, there is a limited quantity in the game and it behaves much differently than other weapons. It has 0 spread, electrical damage, high durability, and splash damage. This item is an energy weapon despite being shoulder-mounted. You get one during the quest, “Who Dares Wins”. Others can be found around the citadel and Adams AFB. The victory rifle is another unique sniper rifle. It is the most durable of all of the sniper rifle variants and it knocks enemies down on critical hits but it has a lower crit chance. You can find this weapon in a level 100 locked cabinet in a hidden shack. The shack can be found northwest of Rockbreaker’s Last Gas at the edge of a cliff. This upgraded laser rifle deals more damage, has a larger magazine and is substantially more durable. Biwwy in little lamplight uses this weapon. You can buy it off him for 500 caps, 250 with high barter or free with the child at heart perk. This is the most powerful non-biggun automatic firearm in the game. With a slightly higher damage output than the original variant and a 50% bigger clip size. It pays for this by having low durability. To get it, you need to initiate a secret quest in the Museum of Technology. To access this quest, you need to use one of the terminals directly forward from the entrance. You need to find the one with a section named “#000”. The 2nd terminal is directly to the left after entering the Museum West Wing and the third is on the bottom floor in the room with the delta rocket. After you complete the puzzles and take the loot from the safe unlocked here, you can go to the Jury Street Metro station (which should have been marked on your map). When you get there, head to the diner and look behind the counter to find a body. You will find a lot of decent loot on it including the Xuanlong Assault Rifle. A unique flamethrower that deals much more damage, but is far less durable. You can find it in the Franklin Metro Utility deep within the falls church metro. You’ll need to follow a water path until you reach the end of a tunnel filled with radioactive barrels. This special minigun is more durable and does significantly more damage. Brick carries it during the quest “Rielly’s Rangers”. It is a potential reward for completion of the quest. The most powerful weapon in the game. 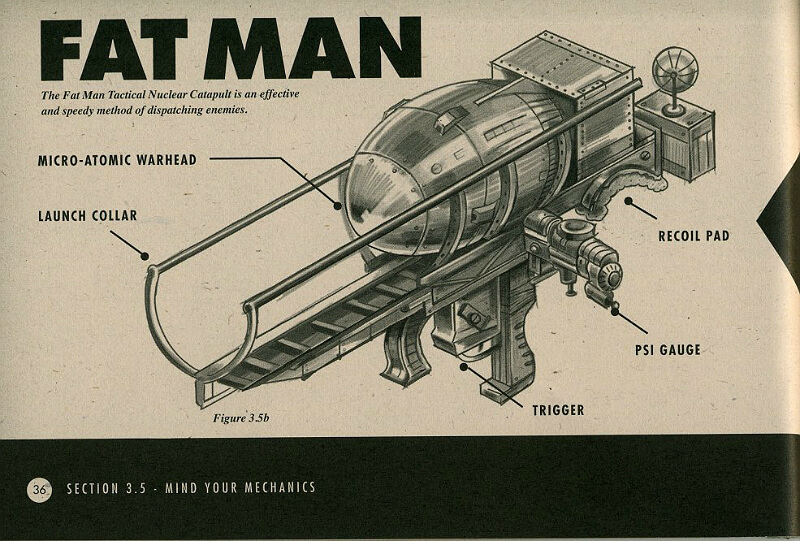 This unique fatman shoots 8 mini-nukes at once. Note: There are five tapes and the first one is not required! Found in the Hallowed Moors Cemetery directly north of Big Town. You can find it in the church on a pedestal. You can find this tape in the back area of the Grisly Diner, located north of the temple of the union. Inside the sniper shack northwest of Rockbreaker’s Last Gas. Found in a tent behind a truck along the river at the Anchorage Memorial. The Miss Launcher is a special rocket launcher that shoots arching missiles, similar to mininukes. This weapon also does bonus explosive damage in comparison to the original. To find it, you need to get inside Fort Independence. Either you can sneak your way in or you can give a large amount of high-tech items (power armor and energy weapons) to Protector Casadin. Either way, you can find it in an armory on the lower level in a level 75 lock container. The only difference between this weapon and its non-unique counterpart is the quadrupled critical chance. You can find it in the armory section of the mobile platform. An NPC named “Armory master” will by carrying it. This version of the flamer uses ammunition more efficiently, but otherwise has identical stats to its normal counterparts. You can find it on a table in the Adams Storage Facility in Adams AFB. The other unique flamer introduced in broken steel does significantly more damage but consumes ammunition at an incredibly fast rate. You can find in front of a door on an upper level platform in the room with deathclaw pens in the mobile base. A unique gatling laser with a much higher damage output. It is the most durable item in the game. You can find it in the deathclaw sanctuary located far southeast of Raven Rock and west of Paradise Falls. The weapon is in a giant red pool in the southeastern area of the dungeon. Now onto melee and unarmed uniques! A knife that deals poison damage. You earn it if you complete the quest, “The Superhuman Gambit” by killing the mechanist and bringing his suit to the Antagonizer. This unique nail board attacks faster and is able to score criticals. Found in Clifftop Shacks which is located southeast of Oasis and exactly west of Old Olney, in the northern shack under the bed. This variant of the switchblade has doubled damage, a higher critical chance and more durability. Butch uses it during the quest, “Trouble on the Homefront”. A shovel that does additional damage along with bonus poison damage. You can get it if you pass the speech check when talking to Croatoa at the Ark & Dove Cathedral. A unique power fist that does much more damage and is more durable. You can find it in the upper level of the power plant near the MDPL-13 Power Station, next to a terminal. You get here from heading northwest out of minefield. This special tire iron does slightly more damage. You can find it in Dominic and Machete’s house in Canterbury Commons. This unique ripper does much more damage to limbs and a higher critical chance. You can find this weapon in the deathclaw sanctuary if you have completed the quest, “The Waters of Life”. This powered-up version of the Chinese officer’s sword does more than triple damage on top of being more durable and doing electrical damage. It is on par with the shishkebab in terms of damage. You can find this item in the armory at the end of the Operation Anchorage expansion. This unique auto axe ignores DR, allowing you to easily wipe out heavily-armored enemies. This weapon is found in the upper floor of the supply plant in the steelyard, next to a bed. This special form of the combat knife deals slightly extra damage. You can find it on Commander Jabsco in Fort Bannister, which is southeast of little lamplight and north of evergreen mills. These unique spiked knuckles deal more damage and have a very low AP cost. If you have the lawbringer perk, you can find them on Junders Plunkett in the Arlington house in the Arlington cemetery. You can access this area through the flooded metro on the south end of western DC. An extremely durable blunt weapon that instantly kills molerats. You acquire it during the quest, “Wasteland Survival Guide” on chapter two. You can only keep it after this part of the quest if you complete the optional objective. An improved form of the normal knife. This weapon has a very low damage output, but an extremely fast rate of attack and the 2nd lowest AP cost in the game (only being beaten by the toy knife, which is useless as a weapon). This weapon is also very durable. This weapon can only be found in the ritual chamber during the quest “The Dark Heart of Blackhall”. This sword has a fairly high damage output, a low AP cost, and powerful criticals. You can acquire this item in the southwest section of the waste disposal area during “Among The Stars”. This combat knife is mostly the same as Occam’s Razor, but it deals additional limb damage. You can find it a short distance northeast of the Bethesda Ruins, in an unmarked raiding shack on one of the raiders. A lightly powered up form of the brass knuckles, they have a very low AP cost and higher damage. A unique pool que that has a lightly longer reach. You can find it on a pool table outside of Eulogy’s Pad in Paradise Falls. This unique fire axe does more damage than its normal counterpart. It bestows the bloody mess effects on the player and restores 5 AP on a kill. The only downside is that it is slightly less durable. You get it as a reward for completing the quest “Pilk’s Safari”. You can start the quest at the Coastal Grotto east of the Ark and Dove Cathedral. This is a substantially more powerful version of the auto axe. However, it is heavier and less durable. You get this item if you bring 80 steel ingots to Everett. This power fist does bonus electrical damage. You can find it in the flooded metro, in the western side of the metro near a chamber with shotgun traps. This special sledgehammer is more durable and has higher damage. You can find it in a room with a broken door. You’ll need a repair of 35 to repair it with parts or 95 without parts. This is a retexture of the combat knife. You can find it at the end of the operation anchorage expansion. This unique sword does more damage than its non-unique counterpart. It weighs only 1 pound and attacks very fast. This item is found in a “sword cabinet” at the end of the Meresti Metro Station during the quest “Blood Ties”. Unlocking the cabinet instantly turns all NPCs in the area hostile. This section is going to cover the few weapons that didn’t make it onto any of the lists above and are not alien weapons. This weapon is unique in that it isn’t intended for combat, rather you use it to stun human enemies and/or enslave them. However, the weapon is unreliable in that the effects are very random and some enemies are unaffected by it. It has a chance of stunning, frenzying or simply instantly killing your opponent. This weapon uses its own special ammunition type and the only way to get more in the base game is to buy them in packs of 10 for 200 caps. To get this item, you simply need to start the quest “Strictly Business” at Paradise Falls. This special form of the sawed-off shotgun does a large amount of extra damage but cannot crit and has low max durability. Ronald Laren uses this weapon. You can find him in Girdershade, which is located in the far mid-west area of the map. An extremely powerful variant of the combat shotgun. The damage is extraordinarily higher, but it has an extremely large spread. You have to be at point blank to get the most out of this weapon. To find it, you have to head to Evergreen mills, located a short distance west of Smith Casey’s Garage. Smiling Jack, a non-hostile raider found far into the mill, wields it. I decided to give alien weapons their own section due to the fact that they use special ammunition and that most are obtained during the Mothership Zeta expansion. Note that all alien weapons are energy weapons with the exception of the drone cannon. True to the rest of the franchise, the alien blaster can deal more damage in one shot than any other weapon in the game (with the exclusion of the rocket launcher in those games). This weapon deals a critical every shot no matter what, has 0 spread and deals bonus electrical damage. The main downside to this weapon is that it uses the hyper-rare alien power cells. You can find it in the alien crash site. It is marked on your map as Alien Homing Beacon after completion of Mothership Zeta (and you head there to start it). The alien crash site is exactly north of MDPL-13 power station and northwest of greener pastures disposal site. This alien weapon is extremely accurate and has the lowest AP cost for any projectile weapon in the game. You can find it in the weapons lab during the quest “This World Isn’t Big Enough…” in a room near the middle of a long hallway with a level 75 terminal at the door. Essentially the alien atomizer if it behaved like a shotgun. You can find this weapon at the end of the quest, “This World Isn’t Big Enough…” on the alien captain. An automatic form of the alien disintegrator. It deals much less damage, has a higher AP cost and a much slower reload. You can find this item in the shooting range in the weapons lab. You can get the xenotech expert perk in this room. This unique version of the drone cannon fires a projectile that explodes on impact rather than being timed. Aside from that, there are no differences from the original. You can find in a southern area of the weapons lab. You can find some brahmin and drones in the room. Kill the drones to loot this item. 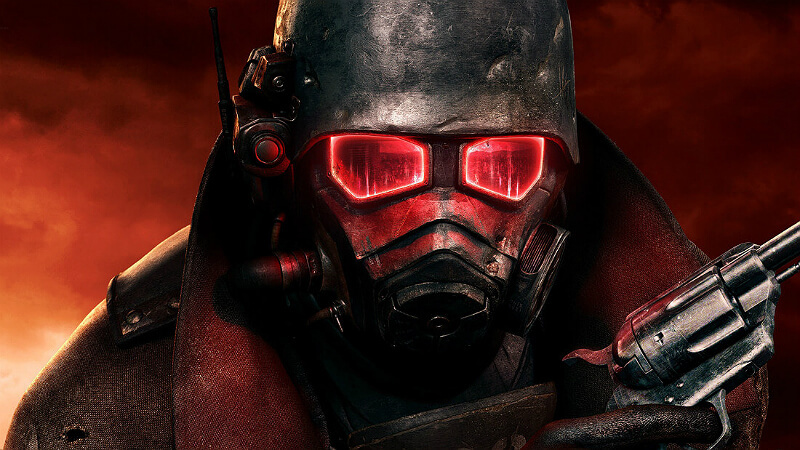 The electro-suppressor is identical to the shock baton, but it has a critical knockdown effect instead of dealing electrical damage and it costs less AP in VATS. You can find it in the engine room during the quest to destroy the generators on a table at the end of a short corridor on a lower level. Possibly the hardest item to acquire in the entire game. It shares the same stats and 100% crit chance of the normal alien blaster. However, this version does fire damage instead of electrical damage. As a bonus it is also affected by the pyromaniac perk. The major downside is that it breaks extremely fast. You can only find this item through an extremely rare random encounter in which a random explosion will occur in the sky and various alien loot will fall down. The chance of this encounter happening is based on your luck. This next section goes over unique armor. Similarly to weapons, the unique models are generally improvements. Note: No unique clothing is going to be listed. This section will be going over unique armors. The full set of this armor only provides 26 DR, easily beaten by most other armor at the point you are likely to find it. Only merchants can repair this item. You can find it on the Antagonizer. She can be found in her lair a little southwest of Canterbury Commons during the quest “The Superhuman Gambit”. This unique set of power armor increases strength, luck, and charisma but decreases agility. It has 40 DR and half the durability of T-51b power armor. This improved set of Raider Ordinance Armor provides more protection and the enchantment gives 10 points to big guns and explosives. You can get it for bringing 60 steel ingots to Everett. 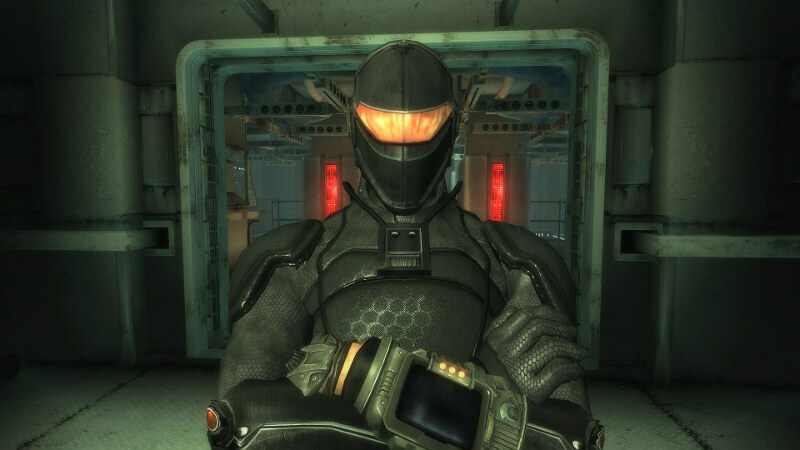 This set of armor is similar to a stealthboy. When you crouch, you get a weak stealth field. Otherwise, it is an improved set of recon armor. It is found in the reward room after completion of Operation Anchorage. This surprisingly useful set of combat armor provides +10 points to both AP and big guns. It provides 38 DR – on par with basic power armor. It also has the benefits of combat armor being easy to repair and much lighter. You can find in on Lag-bolt, in La Maison Beauregard in the eastern side of Georgetown. Georgetown can be found on the west side of the eastern DC district. This unique set of Raider Commando Armor provides additional protection and gives an increase to charisma. A variant of the outcast power armor. Its benefits and downsides are weaker, but it provides a bonus to big guns. You can only obtain it if you apply Laural’s Liniment on Harold during the quest “Oasis”. This item is only notable for being very light for the protection it gives. It is a great choice for people who like to sneak, but do not have the Silent Running perk. Similarly to the antagonizer’s armor, this armor is weak and odds are you will have substantially better armor by the time you find it. However, this costume unlocks unique dialogue options in some places. Most notably during the Survival Guide quest when asked to travel to the Robco Facility. You can find this item on the Mechanist during the quest “The Superhuman Gambit” in Canterbury Commons. This relatively decent armor provides 36 DR and only weighs 15 pounds. It provides +10 unarmed and energy weapons with the usual -1 agility downside for metal armor. You can get this item for turning in 40 steel ingots to Everett. This unique set of (T-45d) power armor does not provide the strength benefit, but has a 1 point agility penalty and provides 15% more radiation resistance. But the main benefit to it is that it automatically administers non-addictive Med-X when needed. This is a special version of Med-X that stacks with the normal version and allows you to ignore crippled limbs but still draws from your supply of Med-X. You can find it in the sewers in Old Olney on a dead brotherhood initiate. This version of metal armor, which offers less protection, gives a 10 point boost to melee and melee damage. It also weights less and the helmet is twice as durable. Toshiro Kago wears it. The only way to obtain it is by looting it off of his body. The best armor in the base game. This armor is extremely durable and the armor and helmet combined provide 60 DR. It has no downsides. You can find it in a locked chamber in Fort Constantine. To get in this room, you need to collect all the keys from the quest “You Gotta Shoot ‘Em In The Head”. You can start this quest by talking to Crowley in the underworld. When doing the quest, do not turn the keys in to Crowly and use them in Fort Constantine instead. There is a large amount of bonus loot in the room with the T-51b such as a fatman. A special version of Ashur’s power armor. Instead of the usual charisma and rad resistance bonuses, it provides +15 AP and +5 melee. It also weights slightly less than Ashur’s armor, however, it provides less protection. You can use it after you bring 100 steel ingots to Everett. This set of leather armor provides a bonus +10 to small guns and has no stat changes. You can find it on the unique raider named “Wanderer”. You can find them directly east of Roosevelt academy and a short distance southwest of Paradise falls. A special version of the T-51b that weighs less but provides slightly less DR. An unintentional upside is that it is unbreakable and never degrades. You can find it in the vault after completion of the simulation. These items (generally) are not found in the game world and can only be acquired by crafting them. To craft them, you need to find their respective schematics. 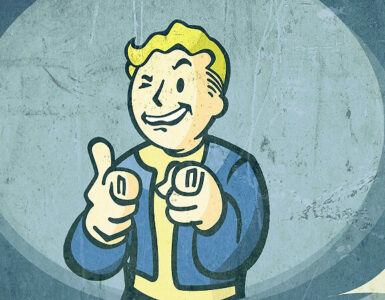 In the case of bottlecap mines and nuka-grenades, each level of schematics increases how many you craft at once by 1. In the case of weapons, each level schematics improves the condition they are crafted in by 25%. First set of schematic items we’ll be going over are the normal, non-explosive weapons! The dart gun is a valuable stealthy and tactical weapon that cripples the opponent’s legs and poisons them. It is incredibly useful against opponents such as behemoths, deathclaws, and reavers. Another can be found in the MDPL-05 Power Station, right next to a skeleton. One more can be bought from the Boutique at tenpenny tower. This extremely powerful unarmed weapon is slightly weaker than a power fist in terms of base damage, but it has a high critical chance and negates all DR.
One schematic can be found in the rare, one-time “Wounded Deathclaw” encounter. Another can be found in the Scott Key Trail & Campground location, south of Girdershade. The last one can be obtained by siding with Bannon during an unmarked quest named “Council Seat”, to get this quest, you need to talk to Bannon about Seagrave Holmes. This moderate-damage rifle is unique in that it deals an extreme amount of bonus limb damage. It also has a high crit chance and shoots faster than most other rifles. One can be acquired from completion of the quest “Stealing Independence”. Another set of schematics can be bought from Tulip, in the underworld. The final one is found on a workbench in the MDPL-13 power substation. This special big gun shoots uses misc items (such as scrap metal and deathclaw hands) for ammo. However, most misc items have weights and this weapon degrades very quickly. Another set of schematics can be found in the Rivet City Armory in the tower, behind a very hard lock door. More schematics can be found on Crazy Wolfgang. The most powerful melee weapon in the game. This sword has a high base damage and does bonus fire damage. It is also affected by the pyromancer perk. Vance gives you them as a reward for the quest “Blood Ties”. Here are the other schematic items! Bottlecap mines are extremely powerful mines. You can easily craft them and they can be commonly found around the game world. The earliest obtainable schematic is earned during the quest, “Wasteland Survival Guide”, after completing the minefield section. One can be bought from Knick Knack in Little Lamplight. Another is in Jocko’s Pop and Gas stop, which is located northwest of Tenpenny Tower. The last one can be found in Dashwood’s safe, after completing his quest to find Argyle in Rockopolis. Extremely powerful, but hard to craft. These become much easier to craft if you have the Quantum Chemist perk. You can earn one from completing the quest, “The Nuka Cola Challenge”. You can find one in the Yao Guai cave section of the Cliffside Cavern, which is a short distance northeast of Tenpenny Tower. As you may have learned from the Vault 101 quests, bobbleheads grant you permanent bonuses to the stat they are based on. When you acquire a house, you can put these bobbleheads on the display stand that comes with the house. There is 7 SPECIAL bobbleheads and 13 skill bobbleheads. The bonus depends on what type of bobblehead it is; SPECIAL bobbleheads give you +1 to respective SPECIAL and skill bobbleheads give +10 to the respective skill. 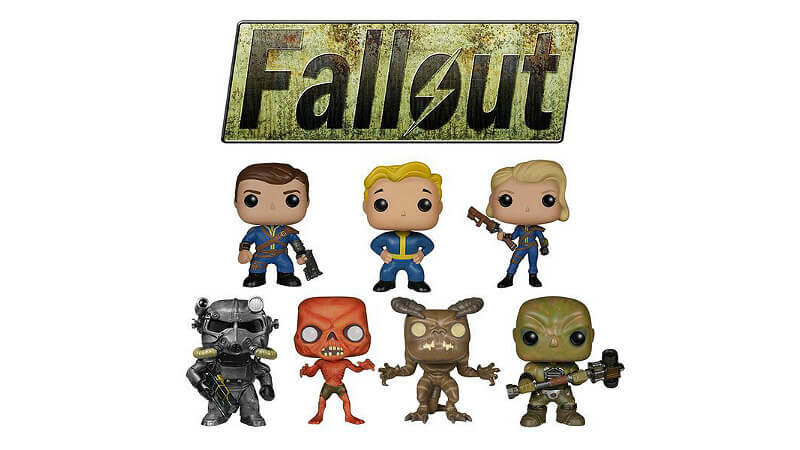 Since these bobbleheads are scattered across the entire capital wasteland and no in-game items exist to help you locate them, it can become difficult to complete your collection. The strength bobblehead can be found in megaton in Lucas Simms’ house which is directly to the right of the entrance. To find it you must head upstairs into the room to the left and take it off of the desk. Generally, the house has a level 50 lock on it and it is very rarely unlocked. The best way to get in without being lucky or investing skill points in lockpicking is to pickpocket the key off of Lucas himself. The perception bobblehead can be found in the museum of Dave in the Republic of Dave, on a bookshelf. The republic of Dave is located in the far northeastern corner of the map, east of Old Olney. The endurance bobblehead is among the most difficult to acquire as it is located in the Deathclaw Sanctuary. As the name would suggest, the main inhabitants are deathclaws. However, after completing the quest, “Waters of Life”, enclave troopers may spawn outside the entrance. The Deathclaw sanctuary is located northwest of Mount Mabel campground, more south than east of Raven Rock and southwest of Fort Constantine. The bobblehead is found in the entrance room next to a brahmin corpse. There is a lot more loot in this dungeon such as multiple unique weapons and a nuka-cola quantum. 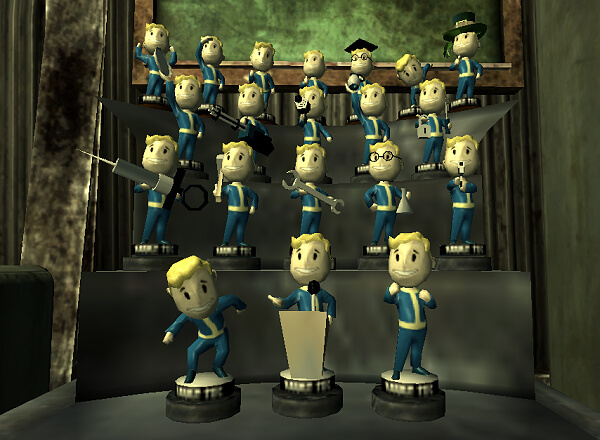 The charisma bobblehead can be found in the cloning labs of vault 108, on a table in a room filled with beds roughly in the center of the local map. Vault 108 is located more south than east of Canterbury Commons. The main inhabitants of the vault are clones named Gary who are about as difficult as the average raider. Found on a table in the science lab in Rivet City. You can locate the science labs by going through the midship/upper decks. You have to go in this room as part of the main quest “Scientific Pursuits”. Located in the Greener Pastures Disposal site. In the western side of the area, you can find an office with various loot in it including the bobblehead. The Greener Pastures Disposal site is located far south of Vault 92 and southwest of Old Olney. This bobblehead can be found in the Arlington Cemetery. Arlington Cemetery is located in western DC and can be accessed by a subway south along the road near Wilhelm’s Wharf. The bobblehead is in the basement of a building near the center of the cemetery. If you have the lawbringer perk, a special NPC can be found here who has a bounty of 1000 caps. Located in the Evergreen Mills Bazaar in Evergreen Mills. On a shelf in a small tunnel close to the friendly merchant named “Smiling Jack”. Evergreen Mills is located east of Smith Casey’s Garage and directly south of Fort Bannister. There is a large amount of raiders and one of the only five behemoths in the game. Found in the basement of Fort Constantine’s CEO quarters. Fort Constantine is far east of Raven Rock and far west of Old Olney. The main inhabitants of this place are various kinds of robots – mostly protectrons and Mister Gutsies. 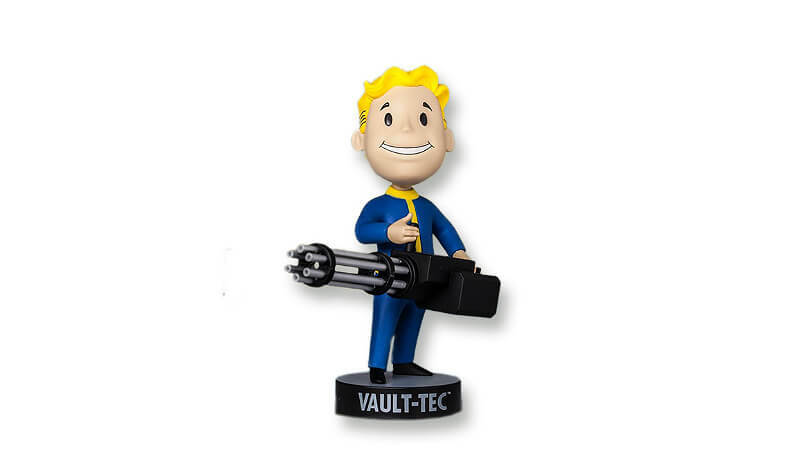 Warning: The Energy Weapons Bobblehead is one of the few bobbleheads that can become permanently unobtainable; this one becomes unobtainable on the condition that you completed the quest “The American Dream”. You can only get this bobblehead during the quest “The American Dream”! It is located in Colonel Autumn’s bedroom in Raven Rock, in the room on the left before exiting section 2C. Located in a manhole a bit south of the WKML Broadcast station. The WKML Broadcast Station is located far northwest of Arefu and southeast of the Deathclaw Sanctuary. There are very few enemies in this area. When inside the station, you will receive a radio signal. As you get closer to the manhole, the signal gets stronger. Found in Bethesda Ruins, east offices 2nd floor. It is found right next to a safe. The Bethesda Ruins can be found east of Big Town and south of Scrapyard. Found at the very start of the game during the vault 101 introduction. You can find it on the table in the clinic during the GOAT part of character creation. If you missed it then, you can find it again during “Escape!” or “Trouble on the Homefront” in the room to the right of where you see Amata talking to the overseer. Found in the Virulent underchambers of the dunwich building. You can find it on the floor of a clutter-filled room near the exit to the first floor. The dunwich building is filled with ghouls and is located in the far southwest corner of the world. You can find it on a table in Even King’s house in Arefu. His house is the last one on the right and has a level 50 lock. Found in the Vault 106 living quarter in a room on the mideastern side of the top floor. The room has windows that look into a cave and has several survivors outside. You can find Vault 106 south of Kaelyn’s bed and breakfast and far east of little lamplight. Found in National Guard Depot, which is located outside northeast of the eastern DC area. You can find it on a shelf just outside the bunker in the armory room. The main inhabitants of this dungeon are robots and you can access the bunker through an unmarked quest known as “Keller Family Refuge”. Found in a room close to a pool of water in the den area of the Yao Guai tunnels. The Yao Guai tunnels are far south of Vault 87 and northwest of Smith Casey’s garage. Found in Eulogy’s pad in Paradise Falls, next to a terminal near the center of the room. Found in an unmarked location known as Rockopolis. Rockopolis is directly west of Smith Casey’s garage. The entrance is hard to spot, but the entrance is between two trees and some clutter can be found outside.